Let Mobilis make your home be what you need it to be. 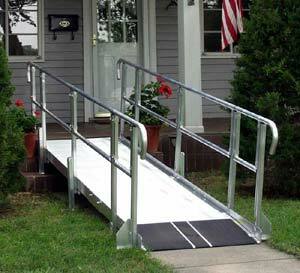 We can help with door widenings, bathroom remodels, vehicle lifts and home ramps. 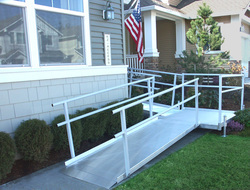 Safe & accessible entryways both inside and outside. 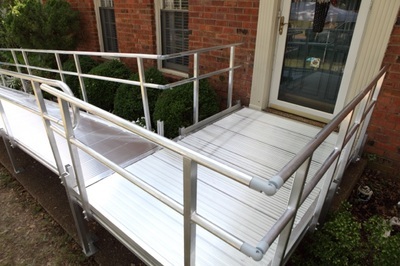 Falls inside and outside of the home are the #1 cause of injury among the elderly. Are you concerned about your loved one's balance, coordination problems or walking/climbing steps? Door thresholds, curbs, unlit entry ways, wet flooring, raised floors and rugs/carpeting are just a few of the obstacles that people have to overcome daily. "Simple Modifications Making a Big Impact"
Limited reach, hand & arm strength, dexterity and ability to stand can be concerns for some of our customers. As people age they lose inches from their stature. They may lose their ability to stand for long periods of time or lose their ability to stand entirely. Many daily tasks become disheartening for an aging adult without easy access to daily living. Maneuvering space at doors can be enhanced by using offset hinges, swinging the door out of the room or widening of the doorway. Increase lighting - may need to increase the number of electrical outlets to ensure this can be achieved. 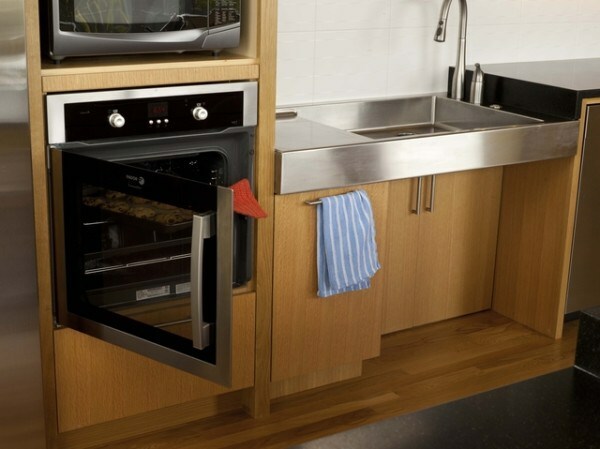 Clear floor space of all obstacles in the kitchen with a minimum of 60 inch turning circle. Add ADA handles to all faucets (not knobs) and do the same for all cabinet doors and drawers. 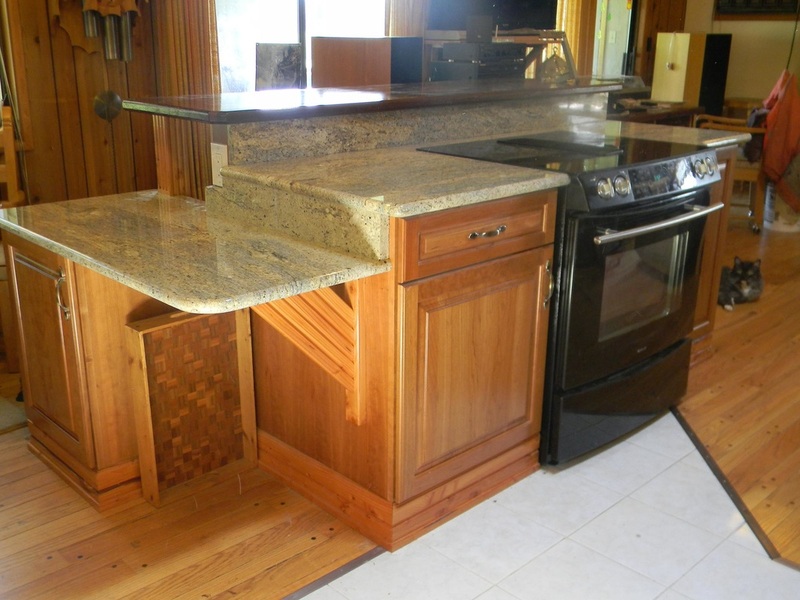 Add adaptable cabinets to reveal knee space (if needed). The bathroom can be the most dangerous room in the home for an aging adult or disabled person. Are there non-slip surfaces? 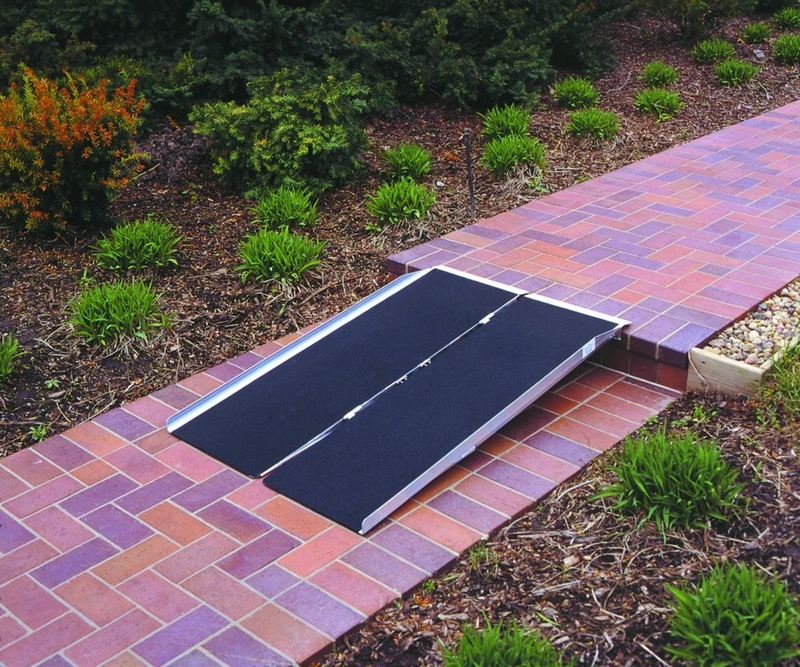 Is there enough clear floor space for assistive mobility? 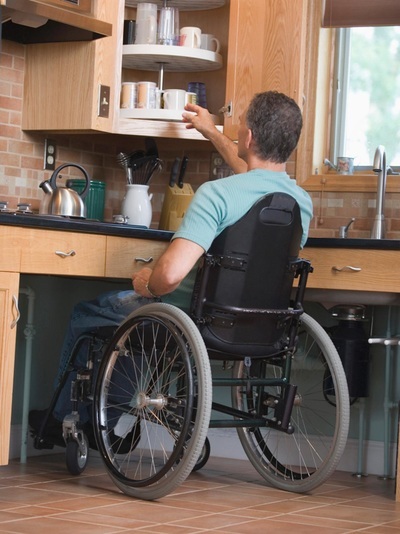 Is the bathroom a safe place when using mobility equipment? 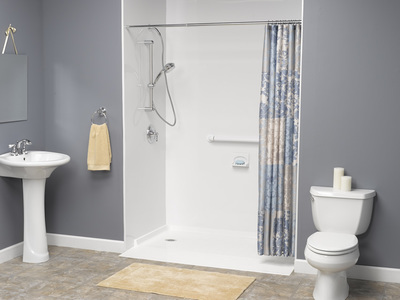 Are the bathtub and shower controls reachable and easy to use and require little strength? Do grab bars need to be installed for safety? 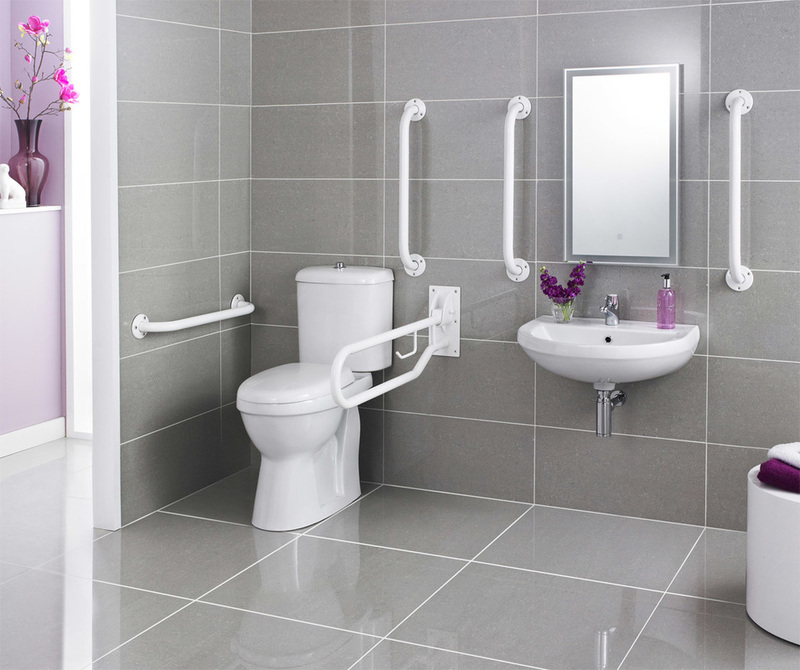 If grab bars are needed, are they positioned near the toilet, shower and tub? Is there ample space around the toilet? Does the toilet height meet the needs of the end user? These are all questions that need to be addressed to ensure you are safe in your own home. Offset controls in shower/tub to minimize bending and reaching. Toilet seat riser and hand-rails to assist in getting on and off of the toilet.